These Blue Crazyfly 3cm fins are Razor sharp. They are designed with a very thin profile to cut easily through water, prevent drag, make the board faster, and weigh less than fins made from G-10. Razor fins also provide flex in the tips, which allows for comfortable carving and transitions. 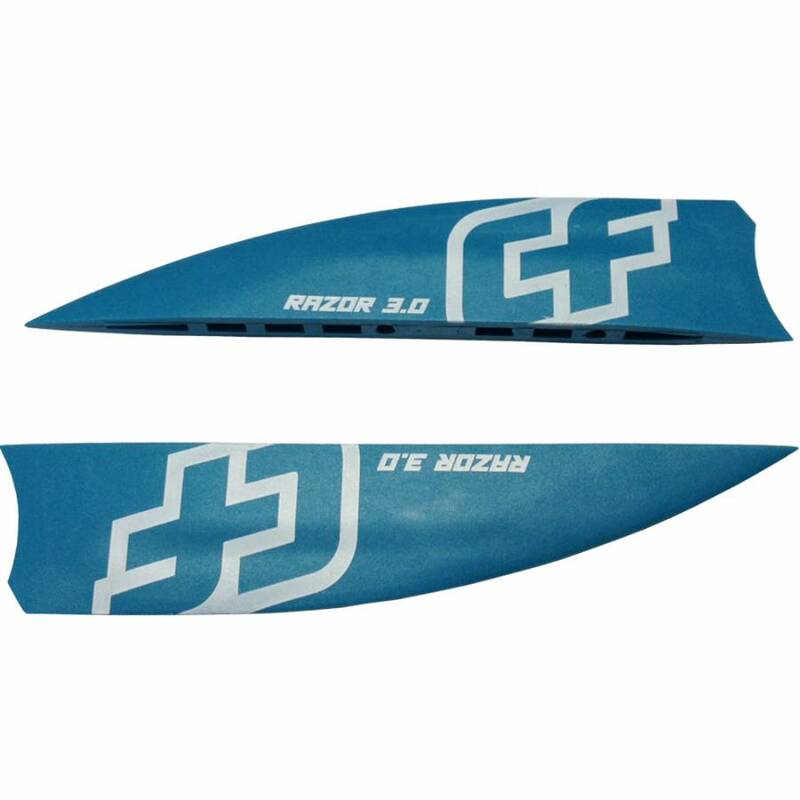 Crazyfly Razor fins are made from DuPont high quality polymer filled with fiber glass fibers. Lots of R&D has been put into the invention of this incredible material which is also used in aerospace technologies and provides extreme durability, light weight, and superior strength. 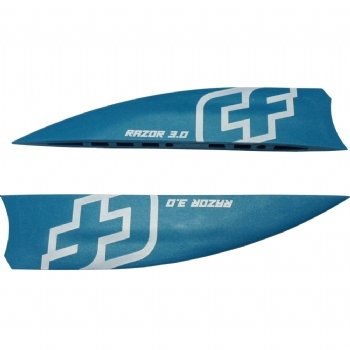 These Razor fins are solid blue with white printing.